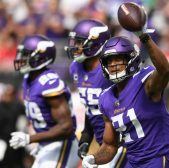 The Minnesota Vikings were one of the surprise teams last season. No one expected them to make the playoffs and then, the season happened. Minnesota would make it to the NFC Championship this season before eventually being outclassed and outmanned by Philadelphia. In that game, Case Keeenum was shell-shocked and just never seem to get himself in a rhythm offensively. With that hole exposed, it was assumed the Vikings would do something with their quarterback situation. 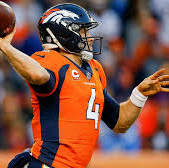 All three quarterbacks were free agents and the team knew they wanted to make some change there but were not sure which player would leave. Well, the Vikings decided they were not going to keep any of these quarterbacks and they let them all hit the open market. 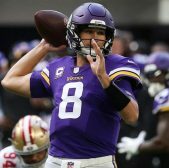 Whlie it seemed they had no plan, that was far from the course, as the Vikings ended up being the winner of the Kirk Cousins Sweepstakes, signing him to a reported three-year, $84 million contract fully-guaranteed. While that may seem like a win, there is some concern with how this marriage will work. Kirk Cousins had some pressure on him when he was in Washington. He had DeSean Jackson and Pierre Garcon with him for a good amount of time and they never made it out of the first round when they made the playoffs. And last season, well that was just not the way things were supposed to go for Washington. Now that he is in Minnesota, the heat will definitely be turned up. Cousins is considered the missing piece on a championship team and he will be expected to perform an perform well. The question that will hover over Cousins all season is if he will be able to perform at a high level when it matters the most for Minnesota. If he does, he definitely has the weapons to make some things happen in Stefon Diggs and Adam Thielen. The playing part of it will always be something looked at, but what is even more eye-catching in this whole scenario with Kirk Cousins. There have never really been any guaranteed contracts offered in the NFL. All you see if a ton of fluff numbers along with an amount less than that in guaranteed money. With Cousins, there was no fluff numbers at all. All $84 million were guaranteed to him in the three-year contract he agreed to. For other NFL players, they will hope to see this style of contract become the norm instead of the exception. These type of shorter deals with more money guaranteed will be something to look at when the Collective Bargaining Agreement comes up yet again. Cousins made some great things happen in terms of contract guarantees for other NFL players and that is to be commended. 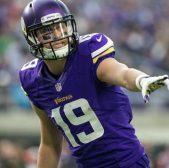 While the applause for him doing great things hopefully to lead the way for more contracts is loud, what isn't loud is the reception of him in Minnesota. Some believe he can be the missing piece while others are waiting to see how he does. Only time will tell, but the Land of 1,000 Lakes will be his home for at least three years. Him stepping up the challenge will be pivotal for their 2018 season.